Encourage development of Accessory Dwelling Units (ADUs), a.k.a. "granny flats," to increase density and affordability without changing the character of neighborhoods which are mostly composed of single-family homes. Reduce residential off-street parking requirements, and eventually phase out off-street parking minimums for all new residential developments. Work with developers to ensure that the redevelopment of vacant properties like Founders Landing Parcel 2, the old hospital site, and the Cliffs Dow property all add to the supply of affordable and middle-income housing. Consider passing an inclusionary housing ordinance which requires a certain percentage of units in new, large multi-family residential developments to qualify as affordable housing, based on a definition to be determined by the City. Evaluate short-term rental regulations to ensure that they are fair and effective, and enact a residency requirement for short-term rental owners. Preserving our public lakeshore needs to be a top priority for the City. 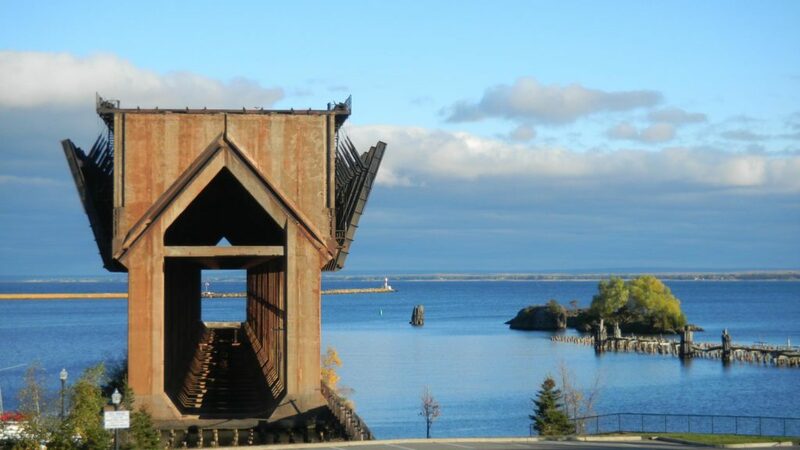 We can develop and grow without sacrificing the special qualities that make people want to live in Marquette in the first place. 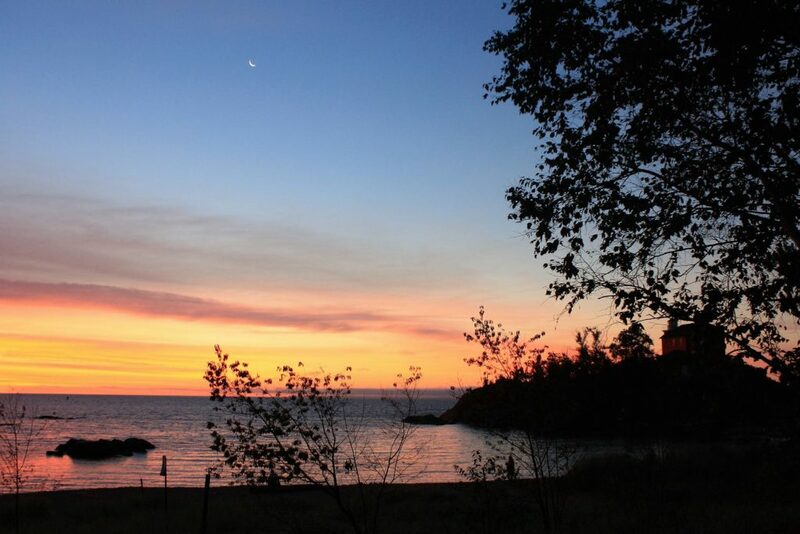 I grew up swimming in Lake Superior, driving along Lakeshore Blvd. and enjoying the view, and walking along the beach with my high school sweetheart Aubrie. I also grew up going hiking and biking with my friends and family, and learned to love cross country skiing in high school. I still do all of these things today, and I want to be able to keep doing them for the rest of my life. I disagree with some of the recent developments along the lakeshore at Founders Landing. However, those decisions have already been made. Rather than merely complaining, we should use the experience at Founders Landing to make sure that, as our community grows and develops, we don't repeat the mistakes of the past and are always proactive in reaching out to the public for feedback. Preserving access to our lakeshore, trails, and forestlands for future generations will be one of my top priorities as a City Commissioner. 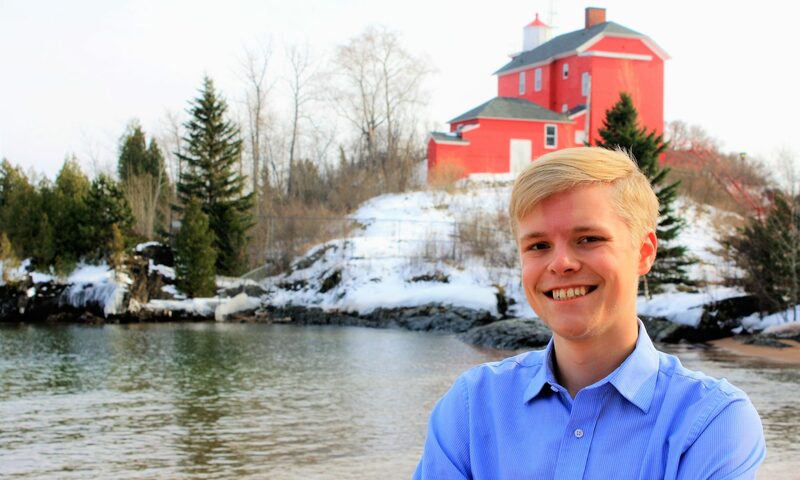 I believe that we can develop and grow without sacrificing the special qualities that make people want to live in Marquette in the first place. Establish a fast, reliable downtown public bus loop. The 2018-20 Strategic Plan recommends that the City work with MarqTran to provide reliable, efficient public transit that full-time Marquette residents, visitors, and students will actually use. 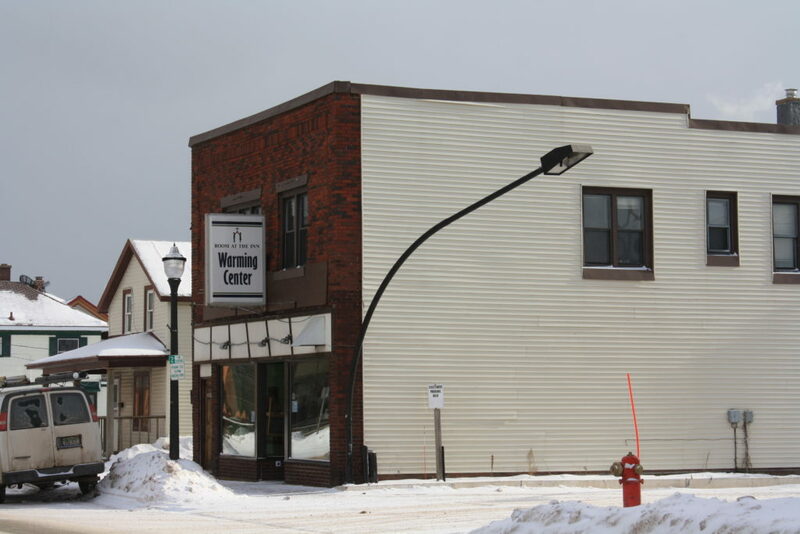 This downtown public bus loop would connect the new hospital, the MarqTran depot, the West Washington and Third Street business districts, and NMU, and possibly major local hotels like the Ramada or Hampton. This would cost about $10,000 per bus stop per year. As such, the total up-front cost of a robust 40-minute downtown bus loop would be less than $100,000. The loop could eventually sustain itself through fares alone. Provide free public Wi-Fi downtown. High-speed Internet is critical for 21st-century businesses. The City should provide free high-speed public Wi-Fi in the downtown business district, just like the village of L'Anse and the cities of Holland, MI and Minneapolis, MN. If L'Anse can do it, why can't we? Expand on-street bicycle routes to connect the existing Third Street bicycle route to residential neighborhoods and the existing bike path network on the periphery of the City. This will make biking a more viable alternative to driving, at least in the warmer months, reducing traffic congestion and transportation costs for local residents on limited budgets while also making it easier for people to patronize the businesses on Third Street. We need to make it possible for more people to live and work in our beautiful town, and that starts with education, workforce training, supporting entrepreneurship, and creating economic opportunity. Continue to support entrepreneurship & retain existing small businesses. Don't fall into the "Amazon trap" of fighting with other communities for the next big business that's going to employ 1,000 people. Rather than having one large, out-of-town business that employs 1,000 people, we should try to have 10 homegrown local businesses each employing 100 people, or 100 small businesses each employing 10 people. And we need to make sure that the people who work at those small businesses are actually able to find an affordable place to live in the City. That is what a truly sustainable and diversified small-town economy looks like. Make Marquette a destination for self-employed online entrepreneurs. 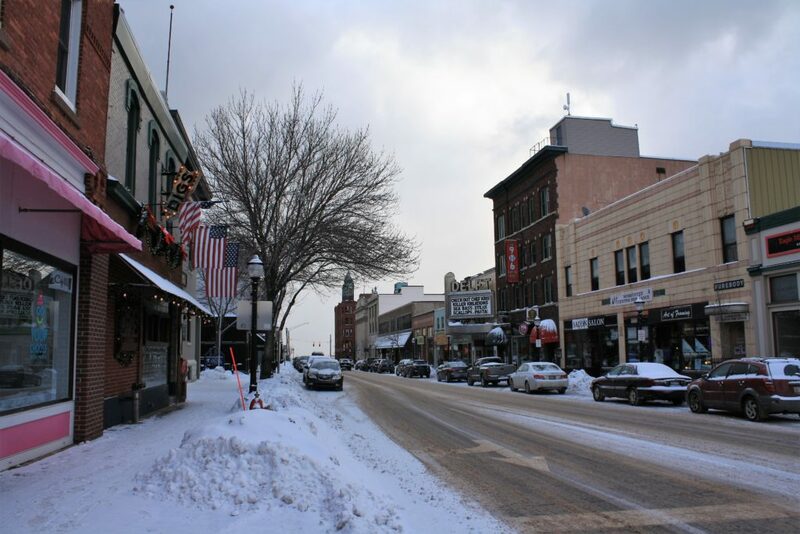 About 600 people in Marquette earn their living from home, but we rarely think about these self-employed people with very small businesses that are often knowledge-based and reliant on online sales. Marquette already has a great quality of life, access to a university, and a relatively affordable cost of living - co-working spaces like Ampersand, fast & free public Wi-Fi downtown, more affordable housing, and access to high-speed broadband Internet will all make Marquette an even better place for these 21st-century entrepreneurs. Hold joint meetings between the City Commission & MAPS Board of Education. Countless other communities, including the Michigan small cities of Troy, Morenci, Holland, and Albion, are already holding joint meeting between their city councils and local school boards. These joint meetings would allow us to identify areas where the City, MAPS, and other educational institutions can work together, and will allow us to do long-term strategic planning regarding education and workforce development. At the end of the day, if we can get every third-grader in Marquette to read and do math at grade level, and get more high school students to pursue post-secondary education, we'll be setting ourselves up to have a highly skilled workforce 10-15 years from now. That will do more to create economic opportunity than anything else we can do as a City. Diversify our economy with light manufacturing. Marquette has become too reliant on tourism and low-wage service-industry jobs: we need economic growth that goes beyond condos and coffee shops, and we need blue-collar jobs that pay more than $4.00 per hour plus tip. The answer is 21st-century light manufacturing. For example, Extreme Tool & Engineering in Wakefield hires students straight out of high school at a starting wage of $15.00 per hour, provides on the job training, and employs 150 men and women making steel molds. The key? High-quality vocational education in local high schools, access to an airport, and 1 GB industrial-grade broadband Internet. If Marquette could offer all three of those community assets, we could have multiple businesses like Extreme Tool in the City. If it's possible in Wakefield, why not in Marquette? 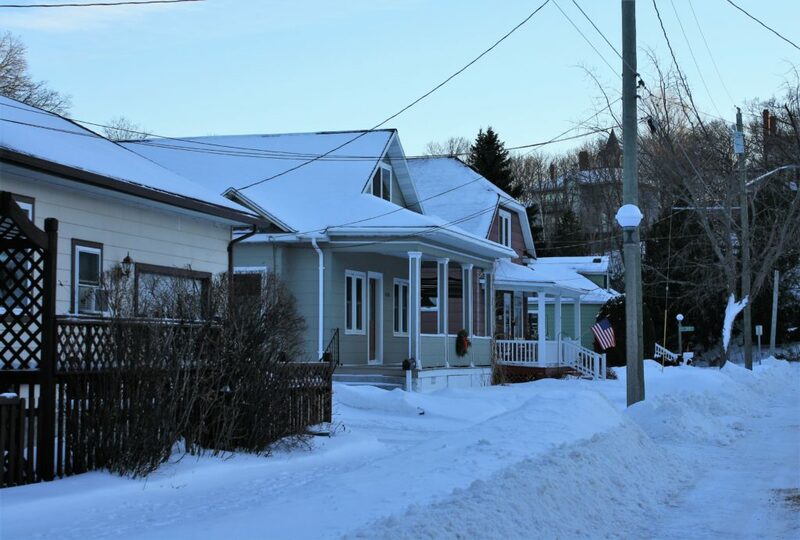 Homelessness has become an increasingly serious challenge faced by the City of Marquette. Room at the Inn and their Warming Center have been overwhelmed and, despite their best efforts, are no longer able to adequately care for the City's homeless population with the facilities they have. Meanwhile, City police and firefighters and Marquette medical personnel spend a huge amount of time and resources serving our homeless individuals. The City and the Police Department are already stretched thin, and interactions with the homeless cost the City hundreds of thousands of dollars each year and regularly take law enforcement officers off the streets for hours at a time. Marquette taxpayers are already subsidizing services for the homeless, but we are currently only putting a band-aid on the larger problem. That is why I support a "housing first" solution to address the homelessness crisis in the City. Creating a permanent homeless shelter operated by Room at the Inn is not only the right thing to do, it is the right financial thing to do. Even if the City has to assist with the up-front cost, a homeless shelter will save countless taxpayer dollars in the long run and help homeless people get access to addiction treatment, mental and physical health care, and education and training. Of course, a homeless shelter will have to be located in an appropriate part of town, professionally staffed, and oriented towards helping people turn their lives around. But it is time that we stop brushing this problem under the rug and get serious about finding a solution. 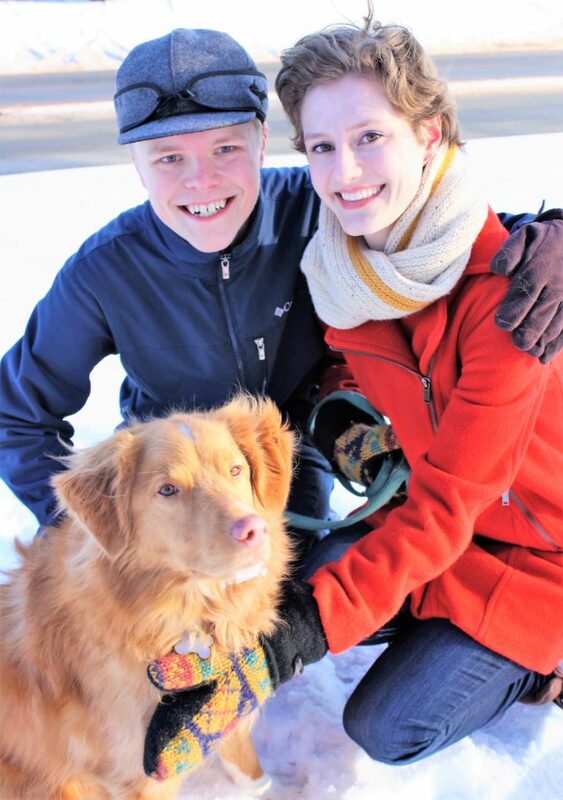 Aubrie and I with our dog Brio at Harlow Park. Aubrie and I love walking our dog Brio in the City, and we are not the only dog lovers in town who have wanted to see a year-round dog park in the City for a very long time. In fact, the 2018 Parks & Rec survey found that City residents ranked creating a year-round dog park as their second-most-needed parks and recreation improvement after expanding trail networks, and 69% of City residents support a year-round dog park. On the Parks & Rec Board, this has been one of our top priorities for a couple of years now, and it will be included in the next Parks & Rec Master Plan. One possibility would be to convert the park at the corner of Presque Isle and Wright into a year-round off-leash dog park, as this park is currently very under-used as a neighborhood playground. A beautiful summer morning at McCarty's Cove, with the lighthouse (and future site of Lighthouse Park!) to the right. Everyone should be able to enjoy McCarty's Cove and all our public parks and guarded beaches. 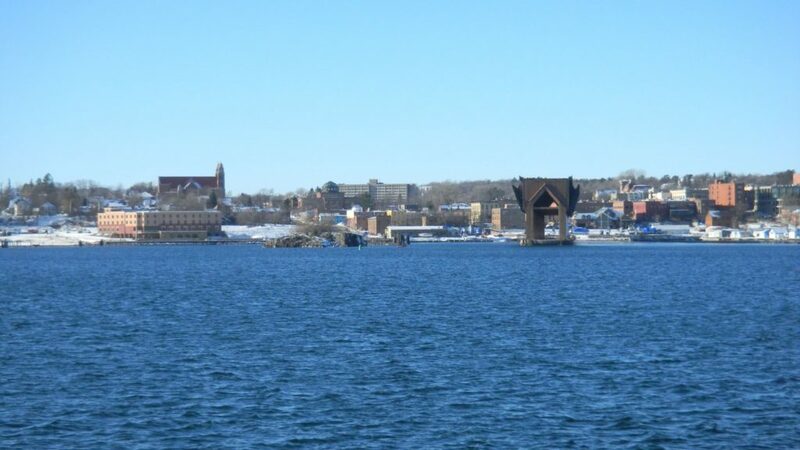 We must make sure that Marquette residents with disabilities and limited mobility are also able to enjoy our public parks and enjoy the lake on a hot summer day just like everyone else. Along with several other members of the Parks & Rec Board, I have advocated for the installation of durable accessibility mats at all the guarded beaches in the City to allow people with wheelchairs, walkers, etc. to access the water without getting stuck in the sand or on hazardous wooden boardwalks. This would only cost about $70,000, and could be funded through grants. The playground at Mattson Lower Harbor Park should be converted to a universally accessible playground that is safe and goes beyond the minimum requirements of the Americans with Disabilities Act. The creation of a fully accessible playground at Mattson Lower Harbor Park must also be a top priority for the City. 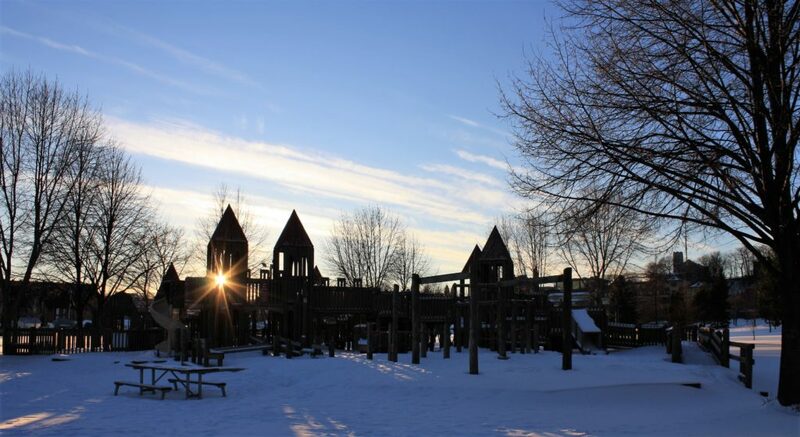 The recent Parks & Rec Master Plan identifies accessibility as by far the weakest aspect of Marquette's park system, and 70% of City residents support a new accessible park, and the cost of converting Mattson Park into an accessible playground could be covered mostly by charitable funds already being raised by concerned citizens, with the City paying for maintenance. Ultimately, this project would provide something that is truly priceless - making it possible for every child in Marquette to play with their friends. Switch to single-stream recycling. Marquette County is currently pursuing a major overhaul of their recycling facilities, which will allow them to pick up paper, cardboard, plastic, and metal all at the same time, with glass picked up separately to ensure worker safety. Switching to this single-stream system will make it easier to recycle in Marquette (no more sorting fibers from rigid materials) and will also allow glass to be collected again throughout Marquette County. If the County can secure funding for the project, we could switch to single-stream recycling and begin recycling glass again by 2020. Charge an optional glass recycling fee. Even with the improvements to the County's recycling system, we still have to deal with the fact that the market for recycled glass is not doing well right now. In order to make glass recycling economically viable for the County, we may need to charge a small fee for recycling glass. This fee would be voluntary - City residents who want to recycle glass could opt in and pay the fee to have their glass picked up separately. The revenue from this fee could then be used to subsidize glass recycling for the County. Collect glass separately. When glass shatters, it creates a serious worker safety problem for Waste Management and Marquette County employees. This was another factor in the County's decision to stop collecting glass with recyclables in 2018. Glass recyclables could be collected and processed separately from other recyclables, using different equipment and techniques to ensure worker safety.